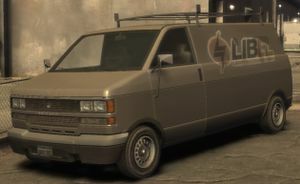 A Burrito with the LibEl logo in Grand Theft Auto IV. The roadworkson Columbus Ave caused by LibEl. Liberty Electrical Company (comically abbreviated to LibEl) is, as the name suggests, an electrical company that operates in Liberty City. 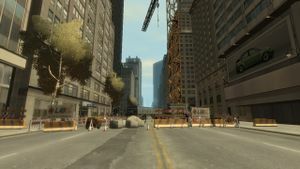 The company is responsible for roadworks that block off Columbus Ave (by the United Liberty Paper building). This page was last modified on 16 May 2014, at 00:09.